1. 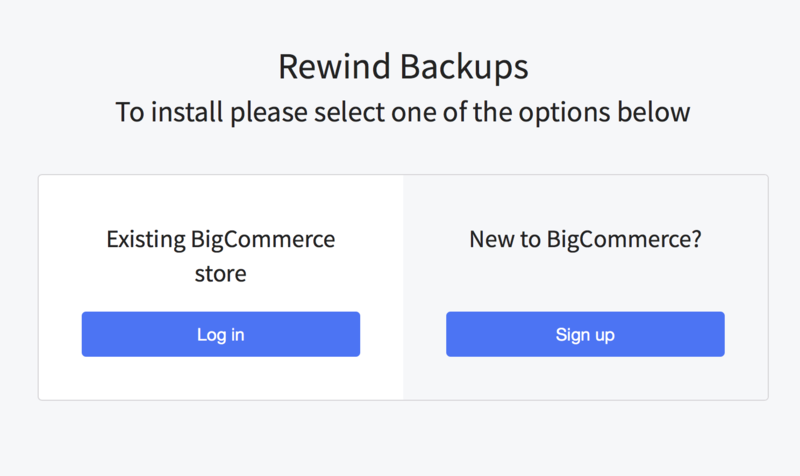 Click 'Get this App' from the Rewind app listing in the BigCommerce Marketplace. 2. You will be prompted with two options: if you're an existing store owner, click 'Log in'. If you haven't yet created your BigCommerce store, select 'Sign Up'. 3. After you click 'Log in', you'll be directly to the internal Rewind app page. Click 'Install' near the top of the app listing. 4. You will be displayed a list of all of the permissions provided to the Rewind app, if installed in your store. 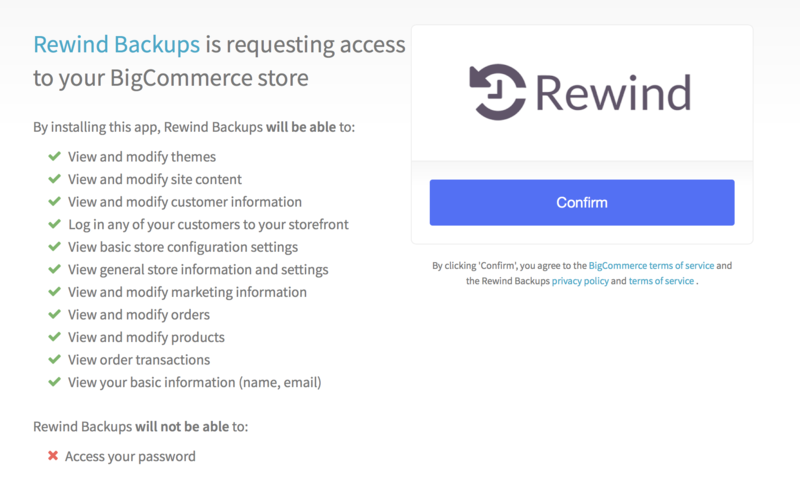 Note that Rewind never has access to your store password. Click 'Confirm' to accept and continue. 5. 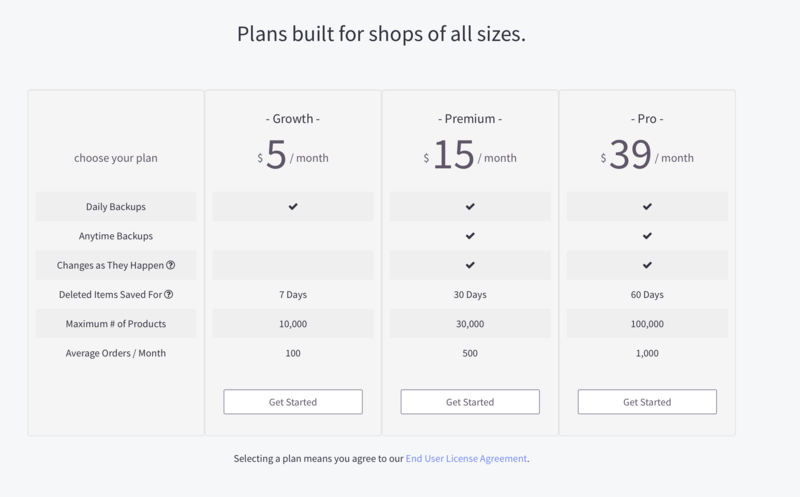 You'll be bought to the Subscriptions page, which will determine three plans best-suited for your store, based on its size and BigCommerce subscription. Select the plan you wish to subscribe to by clicking 'Get Started'. 6. Enter in your payment information. 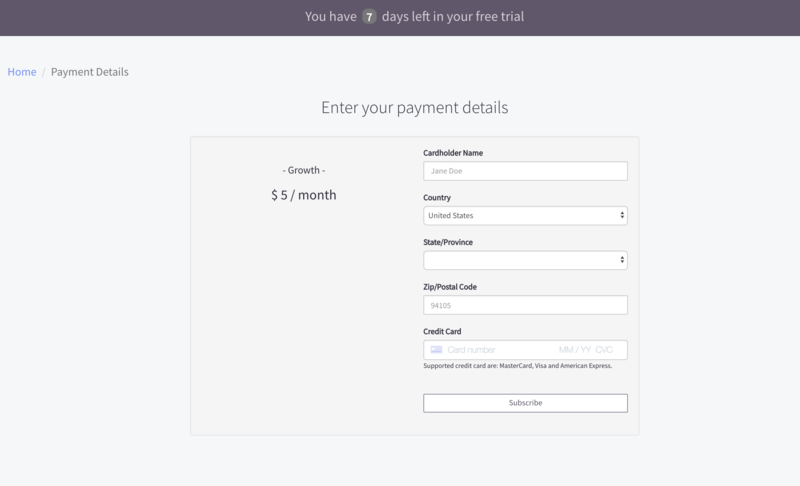 This step can be skipped while on your free trial - however, we highly recommend providing these payment details before your free 7-day trial ends, to ensure your backups do not get disabled. 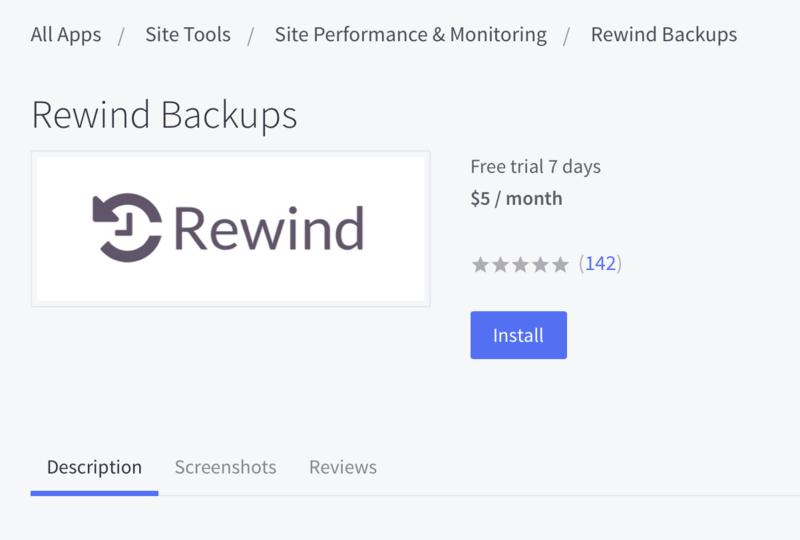 Your 7-day free trial period automatically begins once Rewind has been installed into your store. You can view the remaining number of days in your subscription at the top of the page, as seen in the screenshot above. There are no settings to configure. Once the app has been activated, it begins working right away and does a full backup of your store, which gets saved in the Rewind Vault.